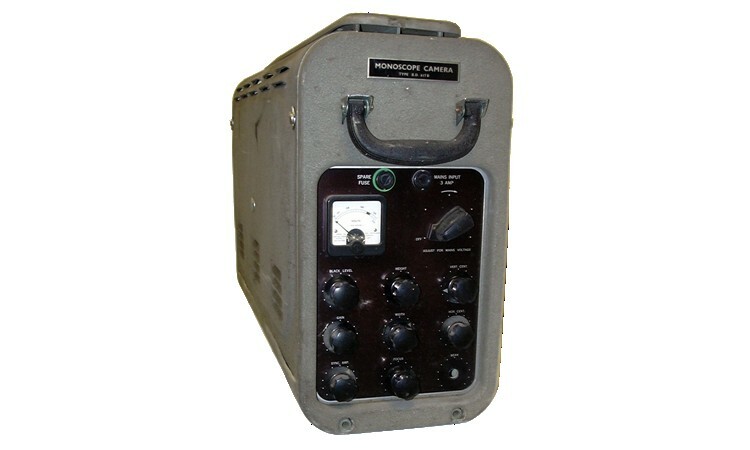 Monoscope cameras were used for the generation of captions and test cards. A CRT style tube using a special plate with the caption on on it instead of a screen generated the signal. This unit is shown in a unrestored state, but apart from the tube it is in good condtion and could be made to work again.